This durable manual pencil sharpener is great for sharpening pencils of different sizes (up to 8 mm in diameter), as well as producing an extra-long point for creating fine details in your drawings. 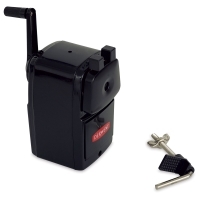 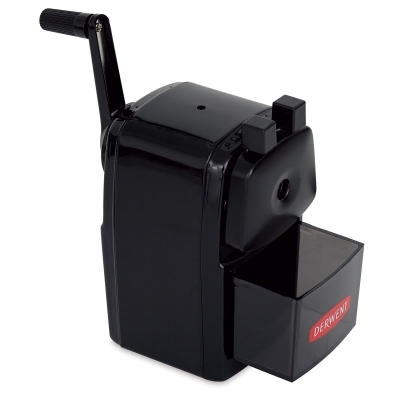 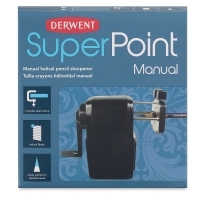 The Derwent SuperPoint Manual Pencil Sharpener features high-performance steel helical blades, a durable metal casing, an auto-stop safety feature, and a clamp that mounts the sharpener securely to desks, work tables, or other surfaces. The translucent shavings reservoir slides out easily for quick emptying.